I am looking forward to reading tarot cards at the Belmont Street Fair this Saturday, September 8th, from noon until 6 PM (that’s tomorrow, y’all!). Do you really need an excuse to join in a neighborhood party? Part of Belmont will be closed for the festivities. Look for my sign, Tarot for the Times, between city blocks 34th and 37th. I would love to give you a tarot reading! 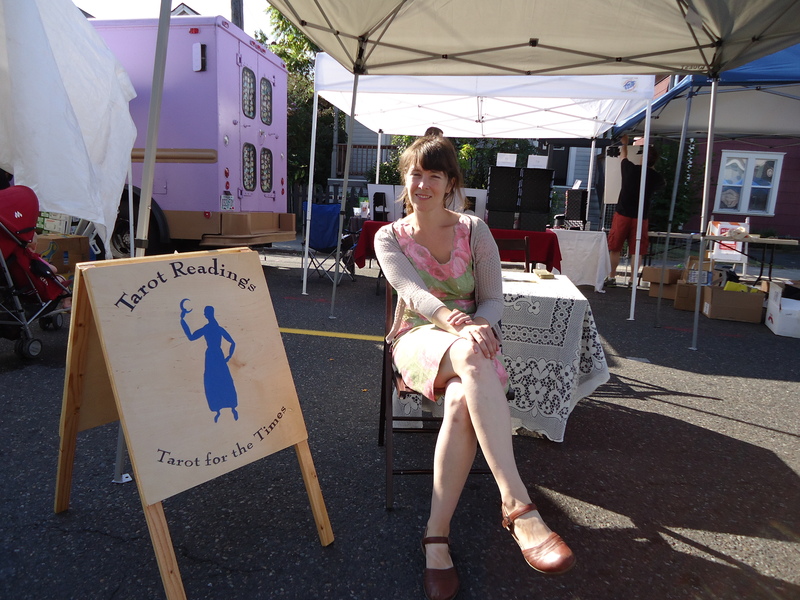 Tarot for the Times and the Belmont Street Fair!